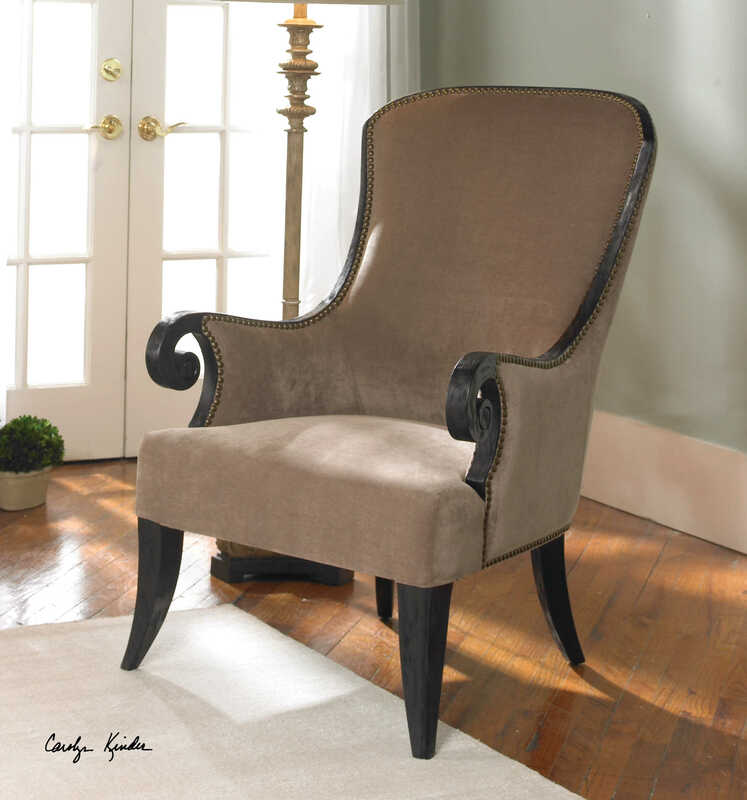 Designed by Carolyn Kinder International, the Kandy Velvet Armchair features a lush, taupe velvet on a black stained, solid poplar frame with antiqued brass accent nails. Teflon brand stain resistant fabric. Seat height is 19 inches. Available to trade professionals at Uttermost.com. For retail purchase Google keyword “Carolyn Kinder Kandy Velvet Armchair”.